As any craftsman will tell you, ‘you need to use the right tool for the job’. Professional quality fence tools allow contractors and do-it-yourself installers to work with vinyl and aluminum fence faster, easier and safer. Tools designed for specific fence tasks and applications save time and money. You most likely wouldn’t dig a post hole without a post hole digger. Some installation tools are available at your local hardware store but specialty tools need to come from a supplier to the trade. 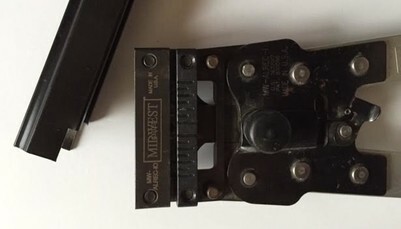 You can scour the big box home improvement chain stores but you’re not going to find a rail end notch tool for aluminum fence or a rail remover for a routed vinyl post rail. We are proud to offer Midwest Snips products and these other commonly used professional tools to make the job of fence installation more efficient. If you don’t see what you need, just ask – we can help you track it down. 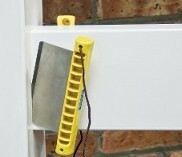 A portable, simple, easy to use rail template with 2 of the most popular sizes set to fit on a 5x5 post. Has 2x3.5 and 1.5x5.5 openings. Makes a perfect hole when used with specific size collar and bit. A ‘must have’ for any step installation. Other shapes are available in any combination. 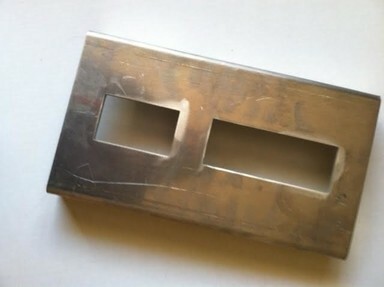 This aluminum template fits on a 5×5 post and features a 2×3-1/2 inch opening and is offered with either a 1-1/2×5-1/2 inch or a 2×6 inch opening. We will gladly ship either one anywhere in the U.S.A. for just 79.99 including postage. OR – buy both and your cost is 135.75 with delivery. IMPORTANT – A special size router bit and template guide are required! Available with a openings for either a 2×6 or 1.5×5.5 inch rail. Both have a 2×3 opening as well. $81.99 with or both for $128.98. All pricing includes shipping anywhere in the USA. Model 301001 is capable of driving larger posts because of it’s more powerful Honda 4 cycle engine (uses straight gas – no mixing to do!). Equipped with a 2-1/2 inch master chuck, the RHINO chuck lock adaptor system allows for the flexability to quickly change to different size posts in the field and drive them efficiently. The Fence-Pro™ weighs just 38 lbs, and comes with 2″ adapter. Optional 1-3/4″ and 1″ adapters are available. Used by professionals and the do-it-yourself installer, this simple tool allows you to adjust a post for leveling or for a more appealing flow. It is invaluable for repairs too! 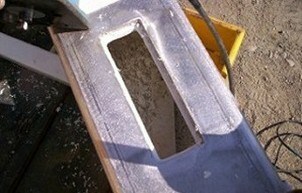 Most frequently, posts are heaved up from their concrete encasement but can easily be driven back into place. No need to remove the post to restore the fence to the way it looked when it was installed. 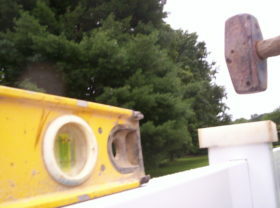 A 5 pound lump hammer, step ladder and the Whack block are all you need to straighten the top of the fence. No professional installer should be without one. 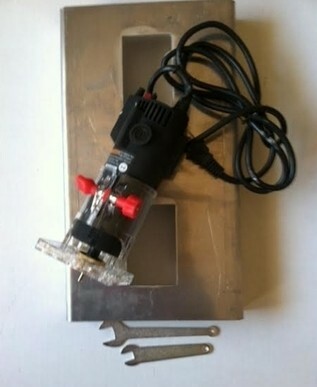 This tool is $72.00 shipped USPS anywhere in the USA. At $36.75 each, no fence installer should be without this too. The chisel point allows you to power you way through root and the flat end of the handle functions as a tamp. Another absolute ‘must have’ for fence installation. Manual post drivers are most often used to set chain link fence line posts. Weather hydraulically, pneumatically or manually driven – posts driving is an accepted practice for installation by the American Fence Association. If you’re a professional fence installer and you’ve done any amount of aluminum, at some point you’ve had to make a cut and duplicate the notch. This tool makes it a snap and once you’ve used it, you’ll wonder how you did without one for so long. Pricing starts at about 300 dollars. Cutting heads are brand specific and the final price of this tool is based on your selection. Some aluminum fence manufacturers are now producing sections that are secured with a tab similar to that which is used on vinyl fence rails. 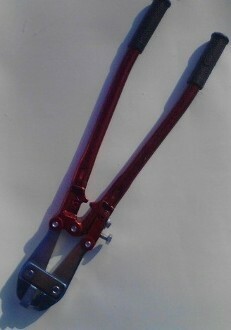 This compound leverage tool will produce the necessary raised crimp. This Compound Leverage aluminum fence tool is used on site to open the rail holes. Makes 0.650” wide by 0.125” deep cuts with square corners to enlarge rail and post holes as needed when racking fence on a slope or uneven terrain. Will punch up to 0.080” thick material. MW-ALFN – Aluminum Fence Post Nibbler. Quickly and easily install aluminum fence with these high quality professional tools. Rail end clippers feature compound leverage handles and individual clipper heads designed for specific aluminum fence brands and profiles. Handles are $98.85 plus UPS. Clipper heads are sold separately! These aluminum fence rail end clipper heads are ‘Brand Specific’ and are sold with or without the compound leverage handle. Pricing is based on the clipper head you need for the brand fence you’re installing. 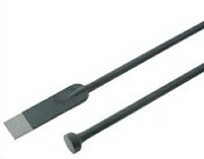 This single hand notch vinyl fence notch tool makes 1/4 inch notches in rail ends and may be used on pickets as well. $34.75 with shipping anywhere in the U.S.A. This tool is most widely used to remove the slack from grade level chain link stablizer wire and top wire on a floppy installation. Also used when pulling barbed wire. Picked up here or delivered with your material order it’s just $23.75. Shipped anywhere in the U.S.A. for $29.90. Used to remove vinyl fence rails five inches and bigger. Shipped anywhere in the U.S for $44.85 postage included. This compound leverage tool elongates the rail opening when the need arises to rack sections of vinyl fence in areas of grade changes. Available for 1-1/2 and 2 inch rail openings. 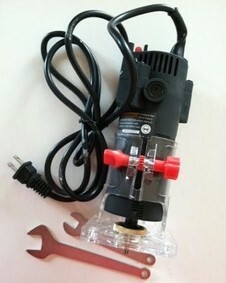 1-1/2 inch nibbler is $302.65 and the 2 inch tool is $333.50. Shipping is not included. Most commonly used with a stretch bar to pull chain link, also used with a cable dawg. Picked up or delivered with your fence material order, a 1 ton Power Pull is $57.50. 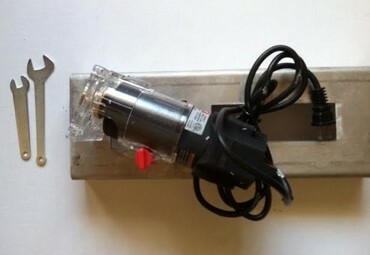 A 1 ton Power Pull with a strap is $60.30. If you plan on using a stablizer wire on your chain link fence installation you’ll be needing a pair of these. Hog ring pliers have a specially shaped cup in the jaws that hold the hog ring so it doesn’t shoot away from you the way it would if you tried installing with an ordinary pair of pliers. This tool is used to pull the tension bar close enough to the gate frame so a clip can be used to hold the fabric.It can also be used when tension bands are going to retain the tension bar on a gate. Delivered with your material order or picked up here – $45.65. Shipped anywhere in the U.S.A it’s $69.60 delivered.